The use of serum prostate specific antigen (PSA) to screen for prostate cancer remains one of the major controversies in modern medicine, despite its wide use in the general population. PSA-screening is controversial because: (1) results of recent clinical trials provide conflicting answers to the question of whether population-based PSA screening decreases prostate cancer-related mortality. (2) There is no agreed upon PSA threshold at which to perform a biopsy. (3) The current use of PSA results in the overdiagnosis of harmless cancers. While PSA does have well-recognized limitations, recent research demonstrates that serum PSA can be used to reduce unneeded biopsies and minimize the detection of indolent cancers. 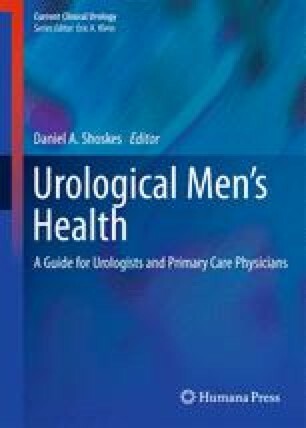 We review current opportunities in prostate cancer screening including: PSA-based risk calculators, improvement in the diagnostic accuracy of PSA with 5-alpha reductase inhibitors, the use of PSA to predict long-term cancer risk, and novel biomarkers that are currently available or in clinical trials. With these tools, the risks associated with PSA-based screening including unneeded biopsy, overdiagnosis and overtreatment are likely to subside.